Politicians have the opportunity to pass legislation and promote new policies that make a difference in the lives of persons with disabilities. Their engagement can provide an avenue for greater inclusion in political life, as well as in areas such as education and healthcare. 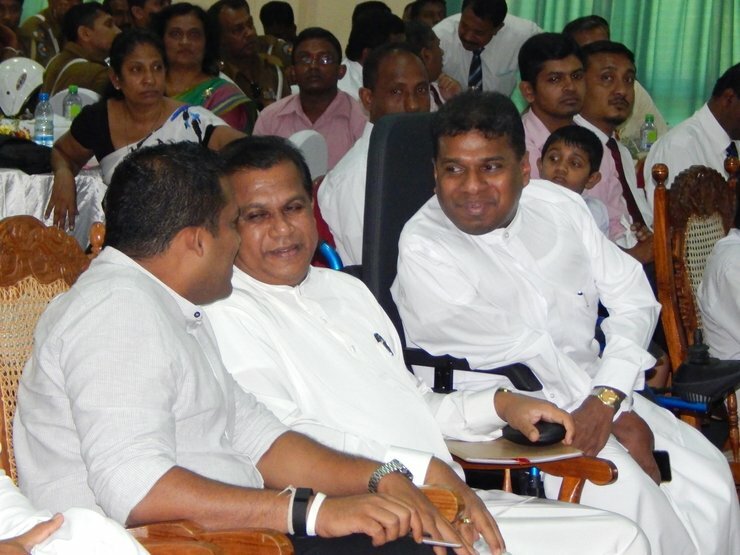 Senarath Attanayake, the first person with a disability to be elected to office in Sri Lanka and the first wheelchair-user to join the Bar, has used his position to advocate for rights of persons with disabilities and is now one of the longest serving politicians with a disability in the world. Attanayake’s tenure as a member of the Uva Provincial Council (UPC) has been marked by efforts to increase access of persons with disabilities to political and public life. As a politician, Attanayake models advocacy for accessibility as well as leadership of persons with disabilities within the community. His personal experience encountering barriers when going to school or voting serves motivated him to encourage other citizens with disabilities to advocate for their rights. As a result of these initiatives, Attanayake was named a 2016 winner of the Henry Viscardi Achievement Award. Elected officials may have access to additional resources and the capacity to pursue projects that can make a difference in their communities. Attanayake’s vision for a barrier-free community has made possible increased participation and improved lives of those who elected him. In 2012, in partnership with the UPC, the World Health Organization (WHO), and several other key stakeholders, the city of Wellawaya became Sri Lanka’s first Age- and Disability-Friendly City and a member of WHO’s Global Age-friendly City Network. He has now expanded the project to cover the entire district of Moneragala. Attanayake’s personal engagement as a politician with a disability with disability rights advocates from around the world has inspired them to run for office and to work with government officials to reduce barriers in their communities. He was also the first person with a disability in Sri Lanka to hold ministerial portfolios as the Minister of Agriculture, Irrigation, Livestock and Land from 1999-2004 and as the Acting Chief Minister for a brief period.